HE LEGEND OF ESAU—The date was April 30, 1939. The place was the Golden Gate International Exposition, also known as the 1939 San Francisco World's Fair. Working in one of the tents in the food Pavilion was one W.C. Tom Esau, a talented young cook fresh from the Midwest. 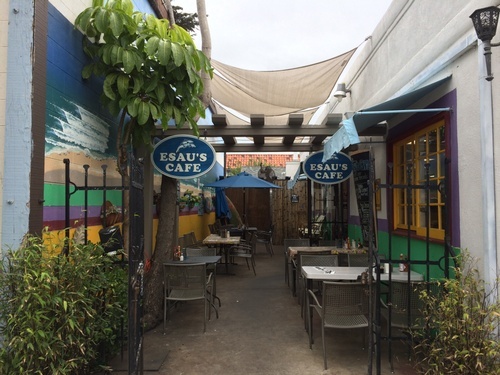 Visiting the World's Fair was a prosperous restaurateur from Santa Barbara, looking for fresh ideas to brighten up the small beach town's cooking scene. The fresh idea he brought back was none other than Tom Esau himself. After years of working at various restaurants in the area, Tom decided to use his talents, and especially his top secret (and hugely popular) buttermilk pancake recipe, and open his own cafe. 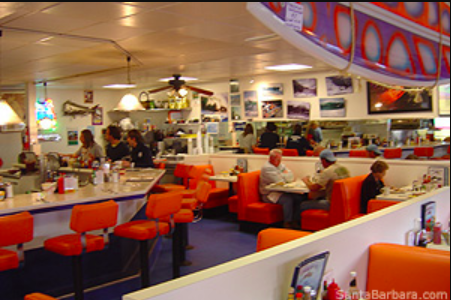 Thus, in January of 1961, began the legacy of Santa Barbara's oldest continuously running breakfast house. Tom raised his family working in his restaurant with his wife Ruth, and started the tradition of home cooking, large portions, and pride in his work. His Midwest upbringing remains an influence on his original menu, with such popular items as grits, chicken fried steak, and biscuits and gravy. His top-secret pancake recipe using fresh buttermilk is the exact recipe used today, more than 60 years after he developed it.